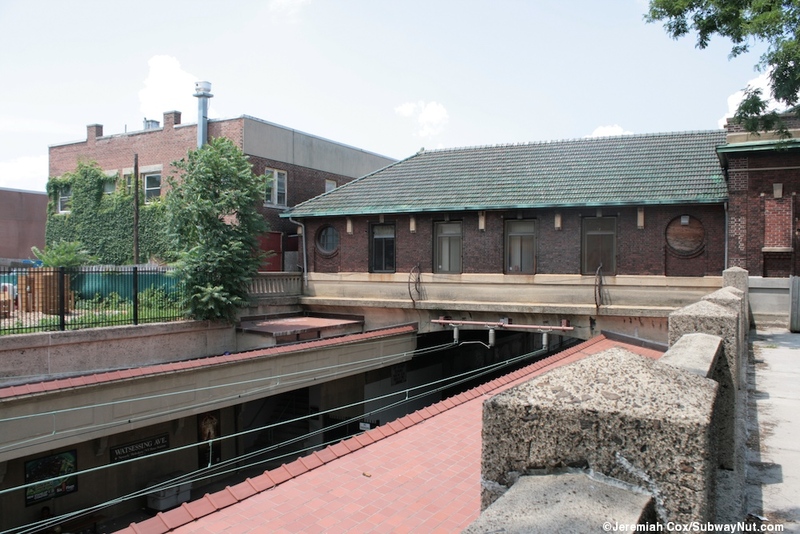 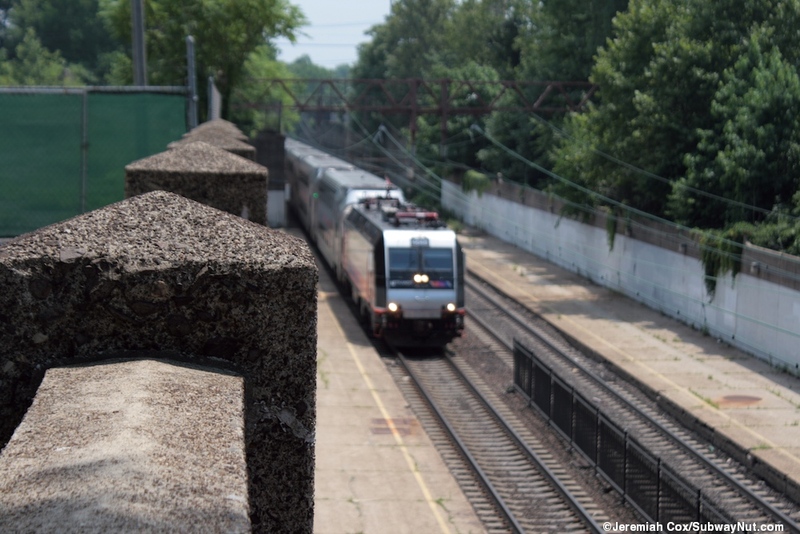 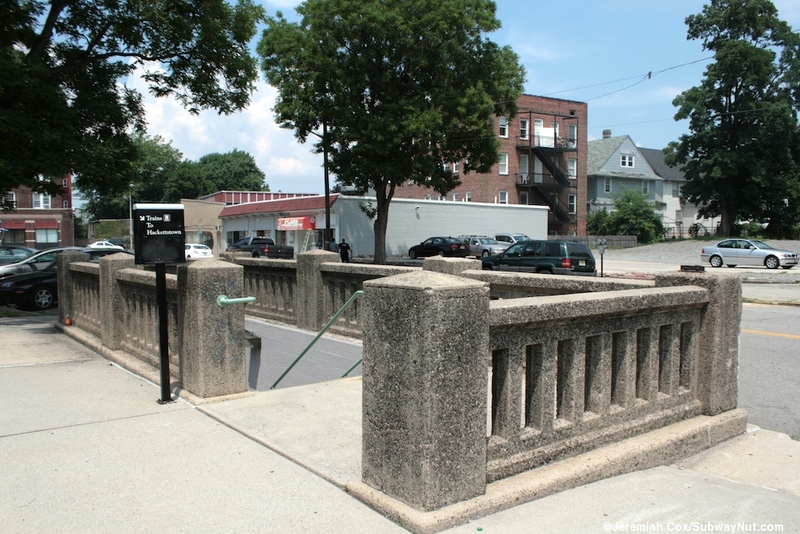 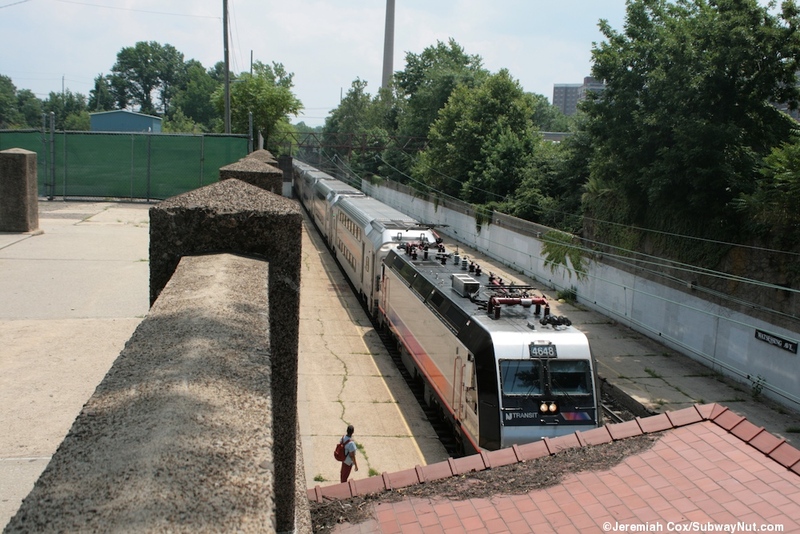 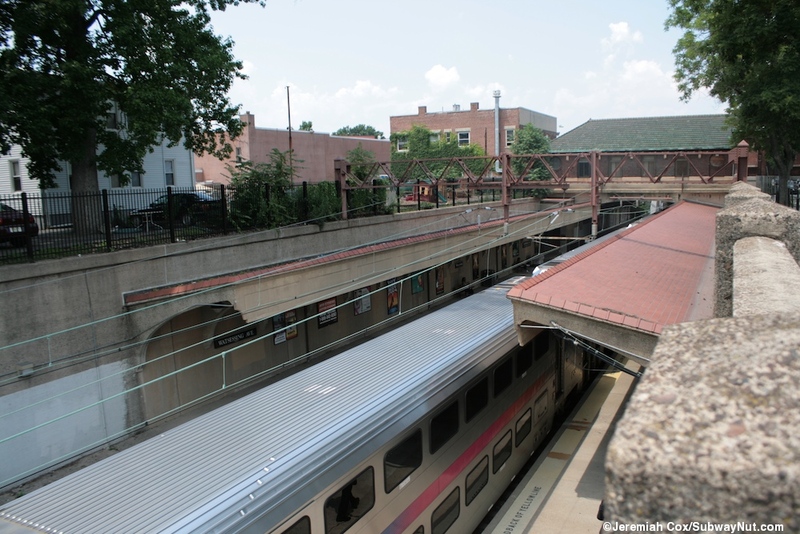 Home<New York Area<New Jersey Transit<Montclair-Boonton Line (MidTOWN DIRECT)<Watsessing Ave.
Watsessing Avenue is the first station on the Montclair Branch, and is located in an open-cut beneath the streets of Bloomfield. 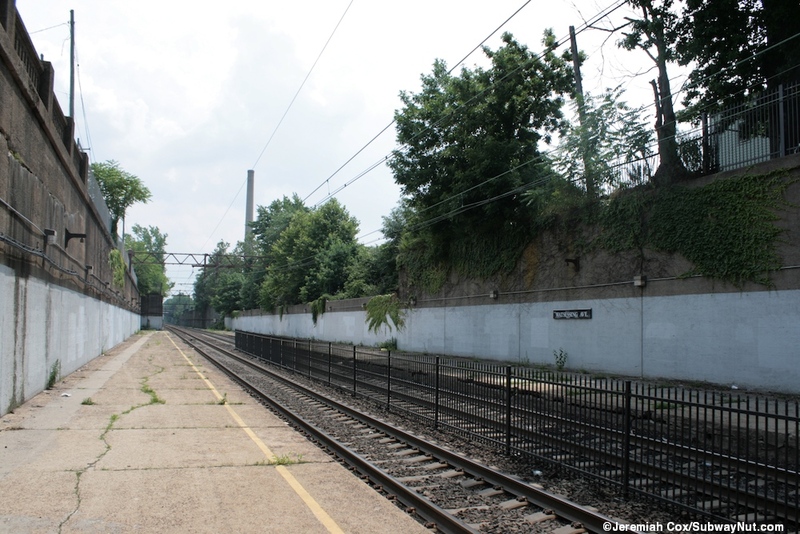 The station has two low-level side platforms for the two track line with a nice old wrought iron fence between them to prohibit unathorized track crossings. 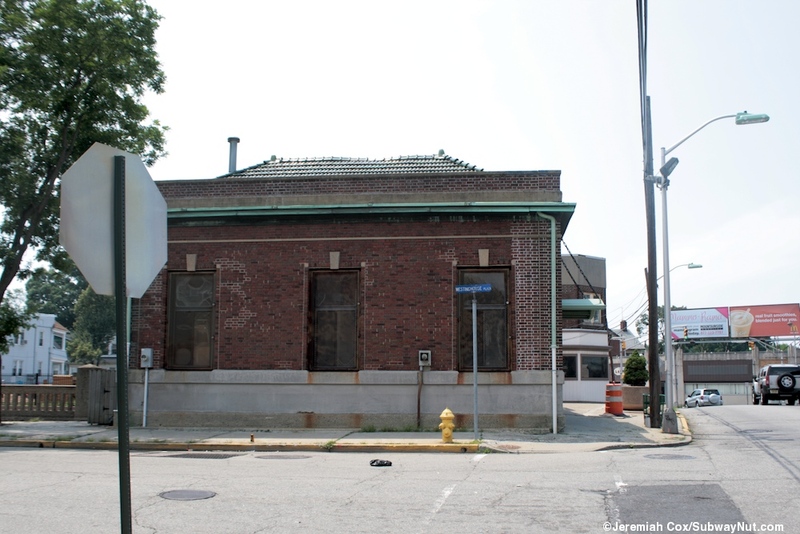 The station has a historic single story brick station house that was built in 1912 along the south side of Watsessing Avenue. 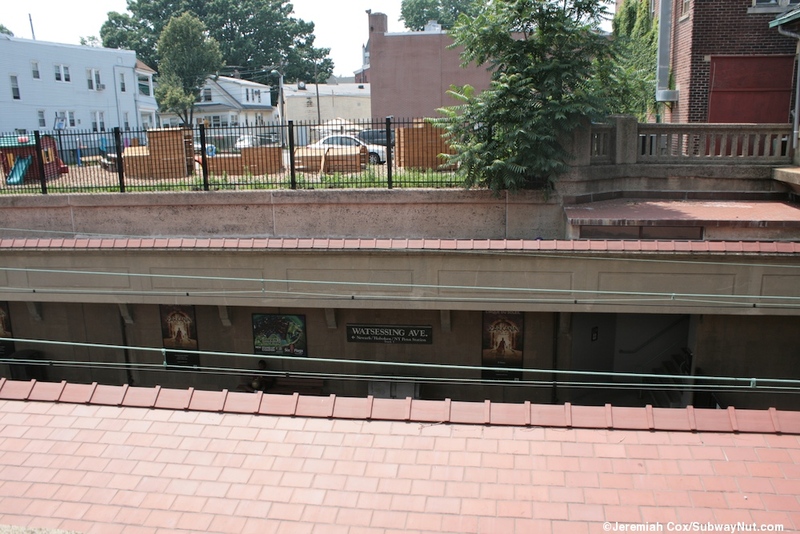 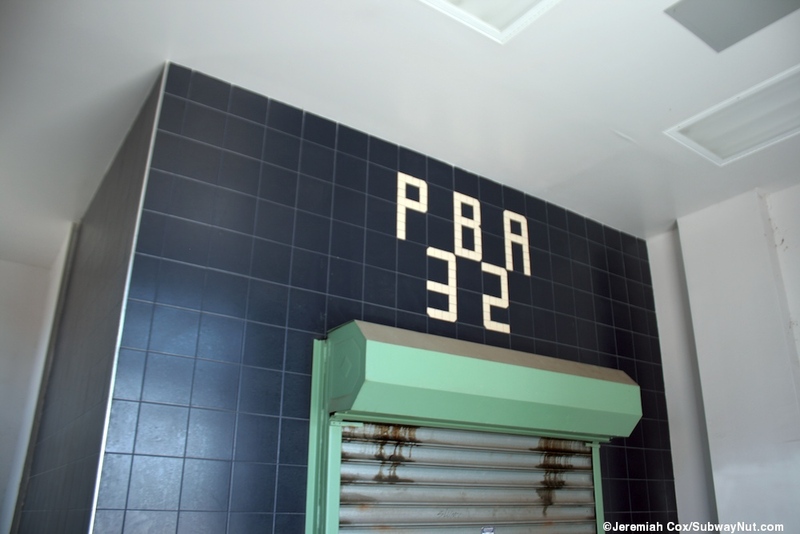 The former waiting room above the tracks is now home to the Bloomfield Policemen's Benevolent Association, but passengers must still pass through separate entryways on each side of the station house to reach a single staircase down to each platform. 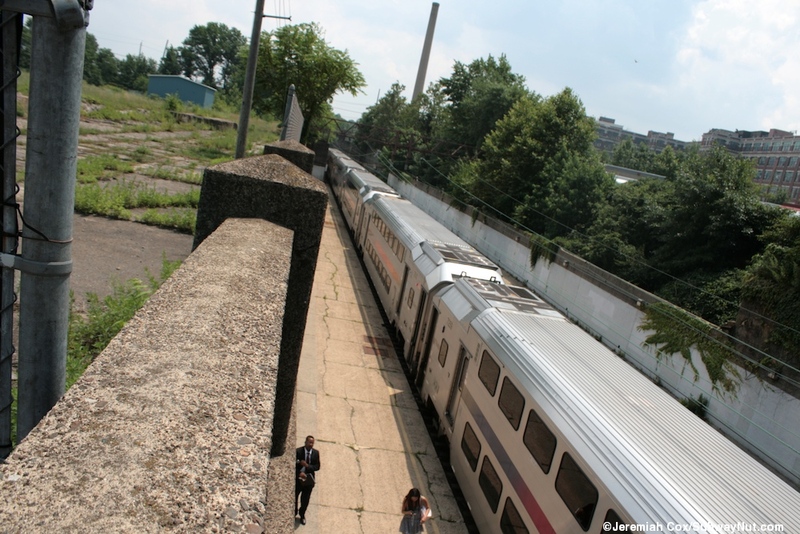 The Hackettstown-bound side even still has its green hanging awning. 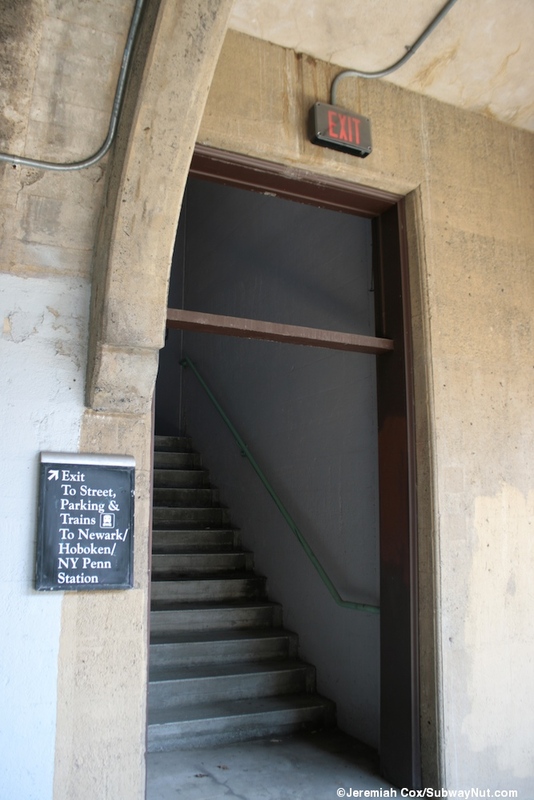 These staircases lead to the northern open end of the two side platforms. 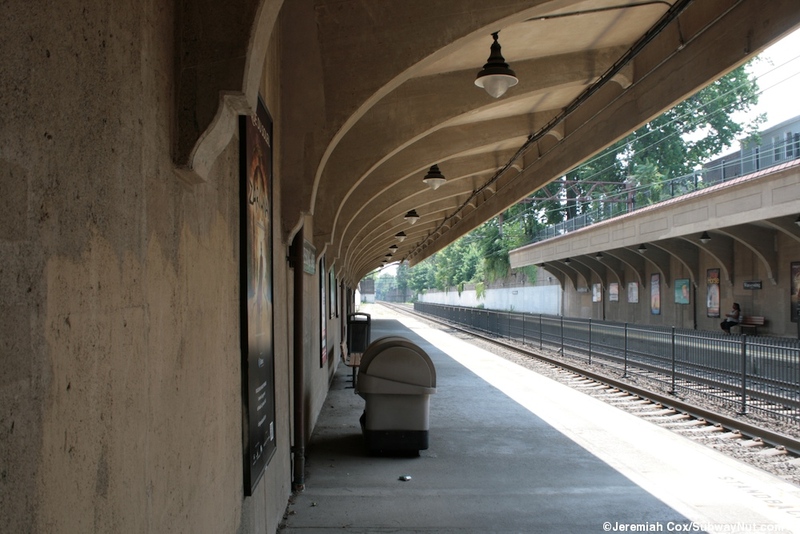 The side platform's for about three cars have nice concrete walls in decent shape and original concrete canopies with arching concrete supports and hanging light fixtures were restored in 2008. 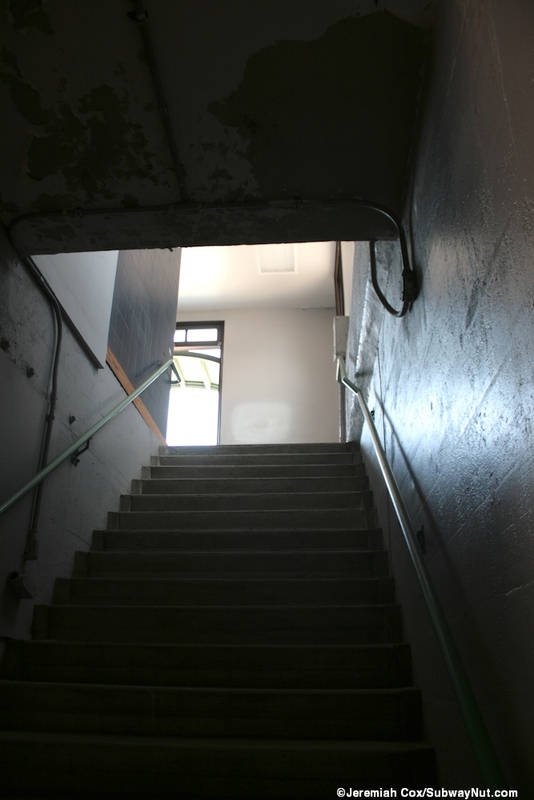 This project also included the installation of tactile warning strips. 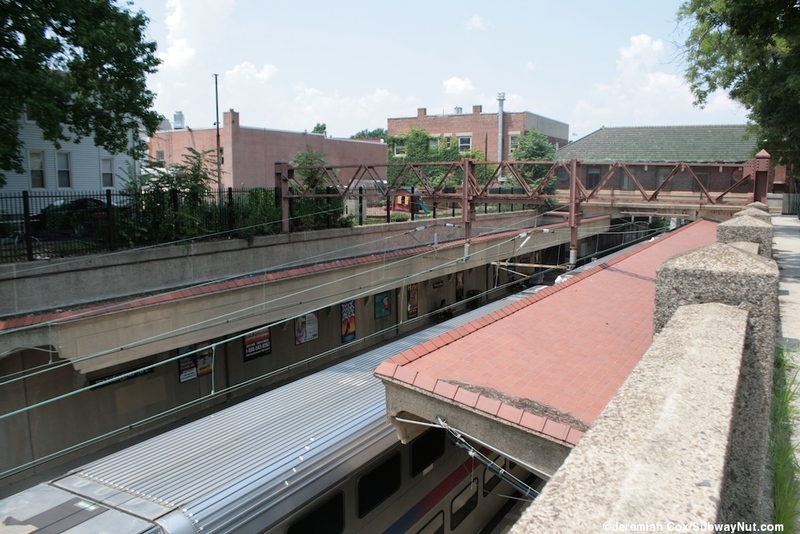 At the southern end of the canopy is another staircase up from the Hackettstown-bound platform only to MacArthur Avenue. 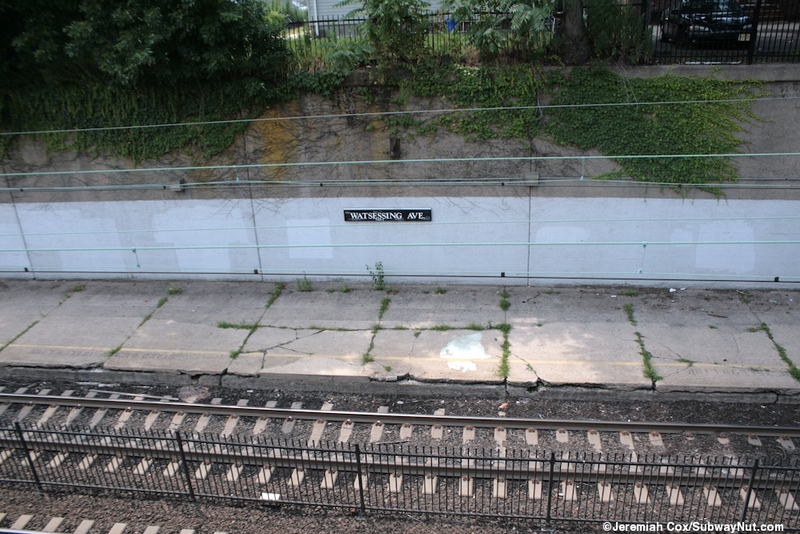 Beyond the end of the concrete canopies there is no clear end of the platforms (and station signs, in the vintage font still hang from the more decrepit sides of the concrete open-cut) but the platforms have a simple yellow line and cracks with grass growing in them. 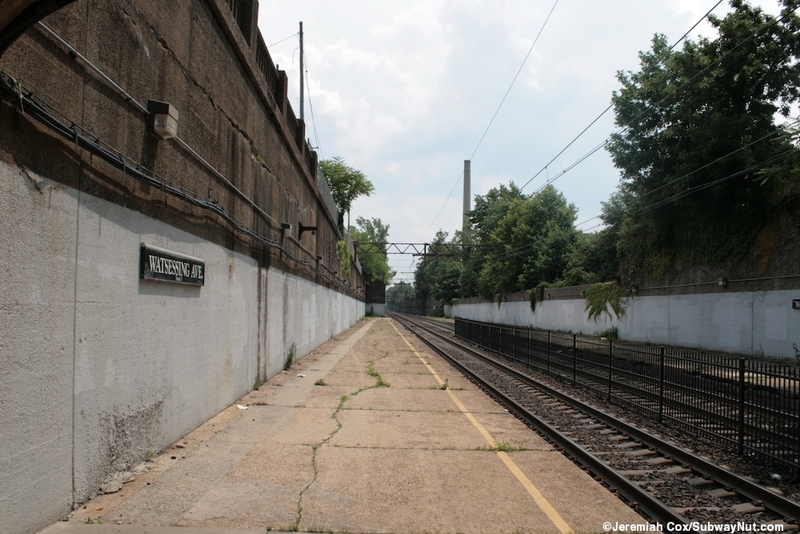 At the other end of the platform, right along staircases from the former station house are modern tall black fences with No Trespassing signs on them. 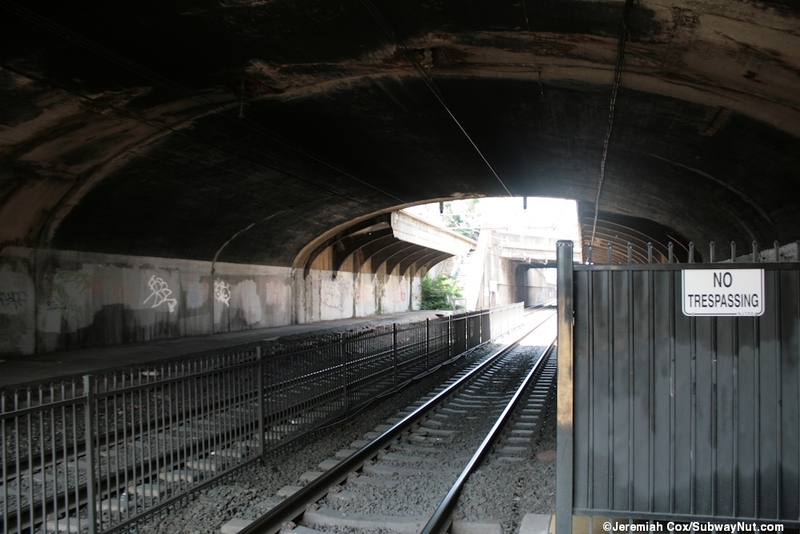 These lead to the abandoned northern ends of the platforms. 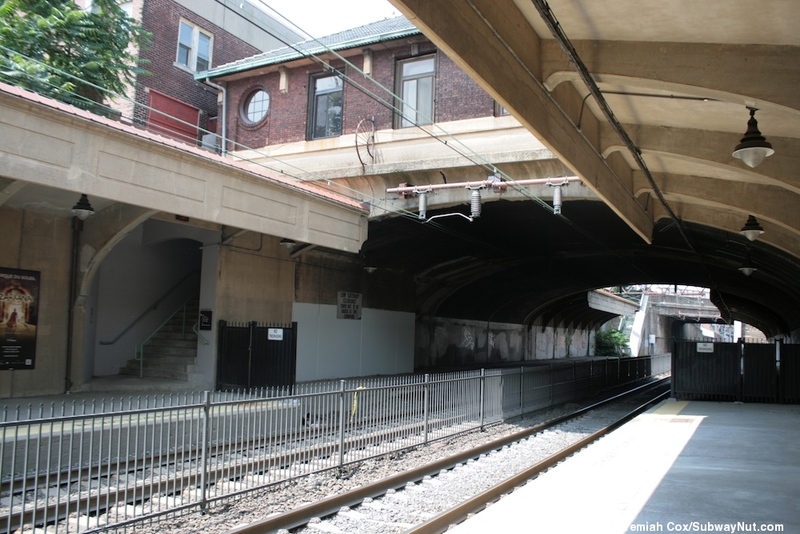 Here is a section of more attached concrete canopies before the abandoned platforms are exposed to the elements. 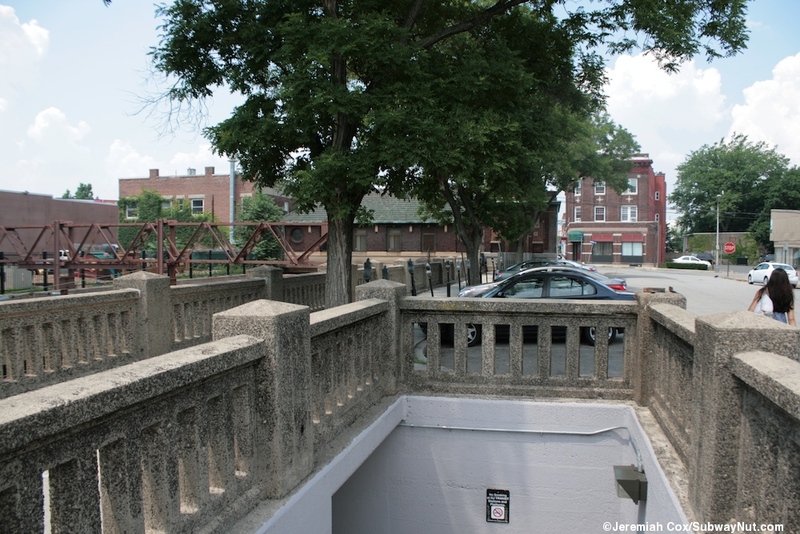 The platforms end with a decaying staircase to the southern side of Orange Street's bridge across the open-cut. 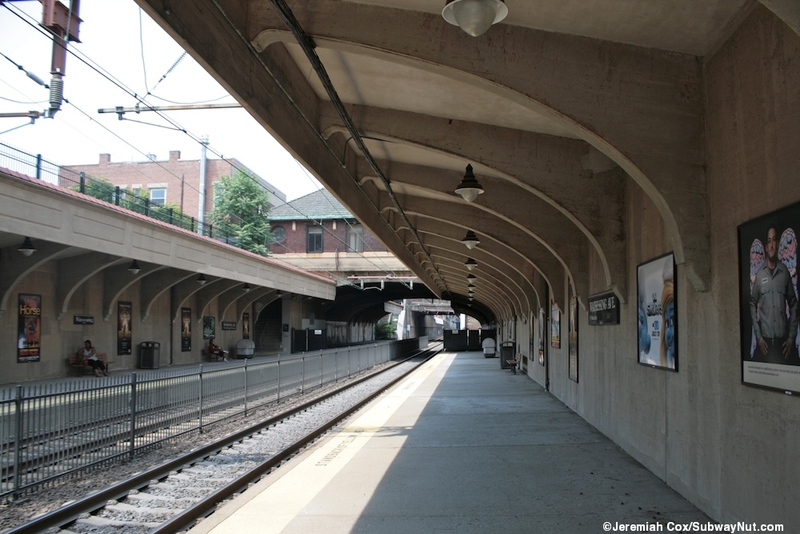 After my visit in September 2011 the station received a TVM, it is on street level outside the main station building located inside a new bus shelter.